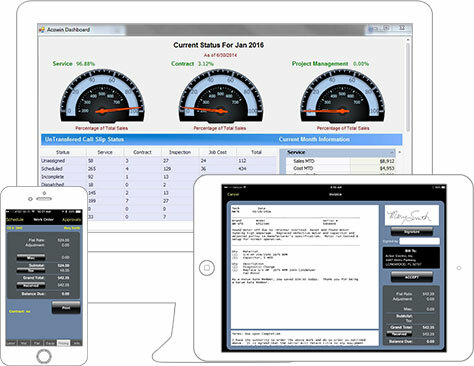 Acowin | Team Management Systems, Inc.
Project Management and Flat Rate Software! See how ACOWIN can benefit you and your company. 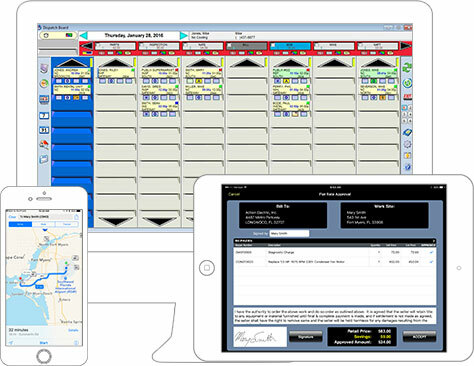 ACOWIN’s Schedule and Dispatch board is easy to use, extremely intuitive and should make a dispatcher’s job more pleasant. 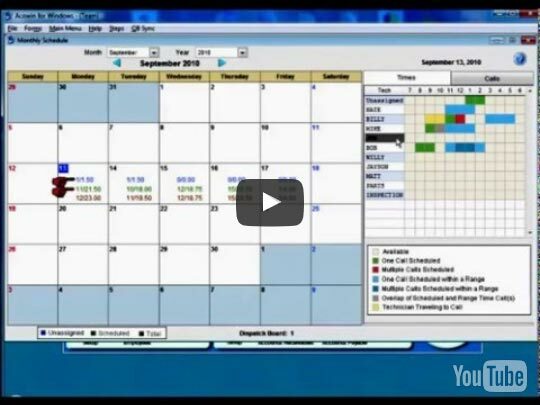 Simply click on a “card” and drag it to a technician to schedule a call. With the use of colors and symbols, you can tell exactly where a call stands in the dispatching process. Dispatchers can set up multiple boards…. 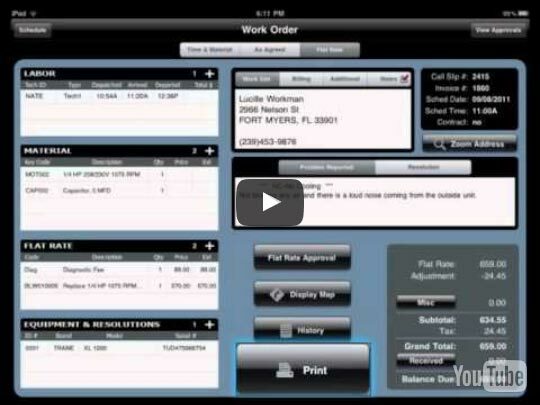 Team Management Systems’ Mobile Work Order not only looks like a standard paper work order, but also works like one. The technician simply enters dispatch times, material used, equipment serviced, and what was done to resolve the problem on one easy to navigate screen. The sell prices are automatically calculated…. 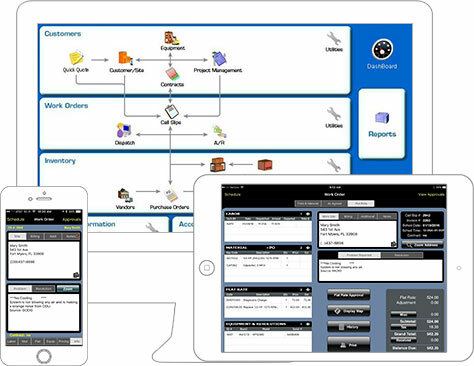 ACOWIN software to see how it can help your business. Two words, TEAM MANAGEMENT, Acowin, Acorate and Acotruck, 100% Quickbooks certified and if you are not blown away by the customer service you can't be impressed. An investment in ACOWIN is a wise investment because it is not just a software purchase but a partnership with Team management Systems. The thing I love most about Acowin is their continued effort to better their product. They are always working on something new, and it is fun to see what is coming next. Thank you for your help! ACOWIN for Windows is a state of the art software package designed to manage all aspects of a Service and Project Management company.